A work zone has been created on the south side of Central Avenue Bridge over the GSP. Two Central Avenue travel lanes will be maintained westbound and one travel lane will be maintained eastbound over the bridge. Eastbound and westbound left turns at Oraton Parkway and Whittlesey Avenue are temporarily prohibited during construction. Please refer to the graphic below and CLICK HERE to see full-sized, animated graphics of the detours on the project website. During the weeks of 04/22/19 and 04/29/19, deep foundation work (pile installation) will continue at Central Avenue. 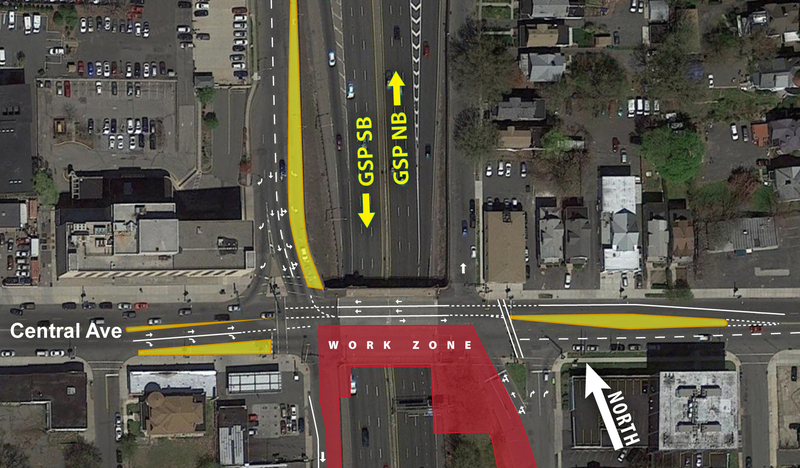 During the weeks of 04/22/19 through 05/20/19, nighttime Central Avenue lane closures at the GSP will be utilized for utility related work. Work will be supported by East Orange Police. During the weeks of 04/15/19 and 04/22/19, deep foundation work (pile installation) will begin at Central Avenue. 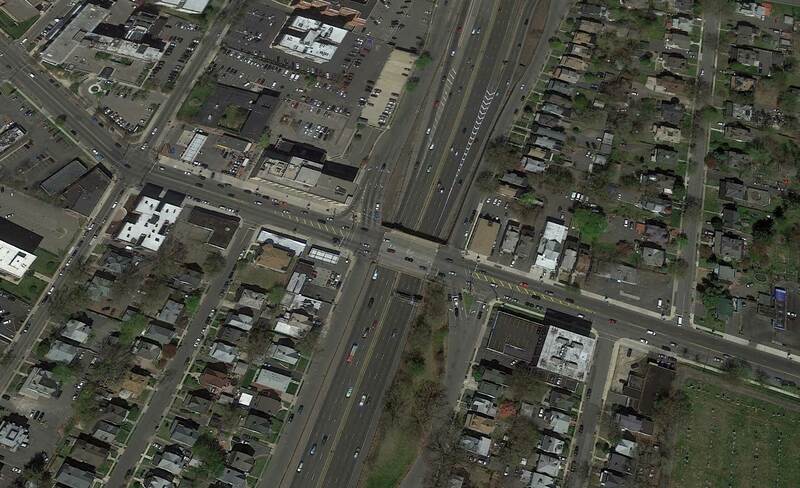 During the evenings of Monday 04/15/19 and Tuesday 04/16/19, Central Avenue lane closures at the GSP will be utilized for bridge demolition. Work will be supported by East Orange.